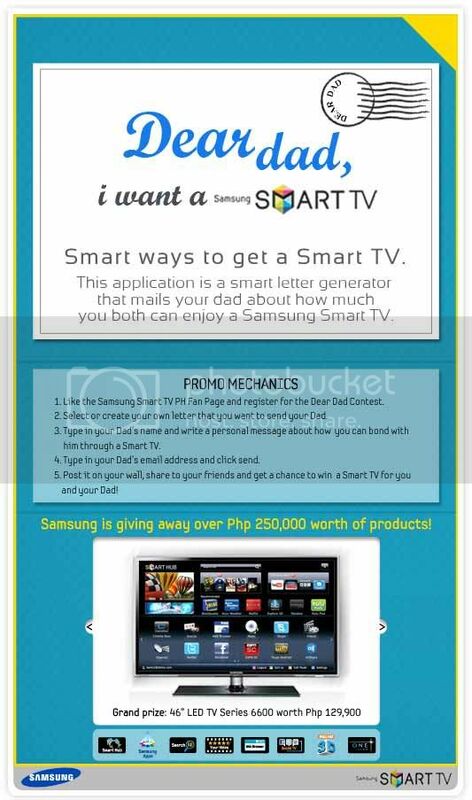 Every Dad In the World Deserves A Samsung Smart TV! Father's Day just passed a couple of weeks ago and I'm sure everyone wished they could've given their Dad a better gift one way or the other. I'm sure if we had boat loads of cash we would've bought the greatest TV a Dad can ever enjoy. Like the Samsung Smart TV. 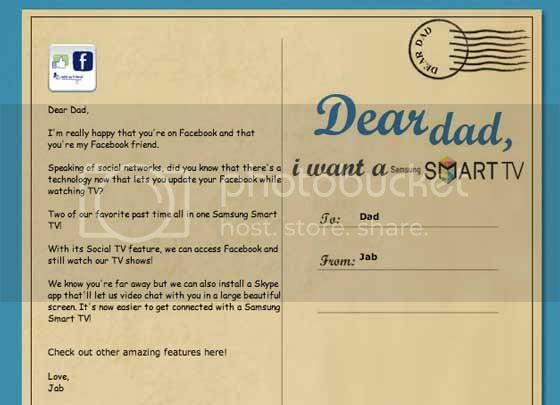 If you haven't heard Samsung's giving all of us a chance to take home one of it's Smart TV's and all we have to do is send our Dads a post card from their Facebook app. It's that easy. The Samsung Smart TV is the ultimate Dad TV! It's got all the great features any self respecting couch loving father can have in one great package. 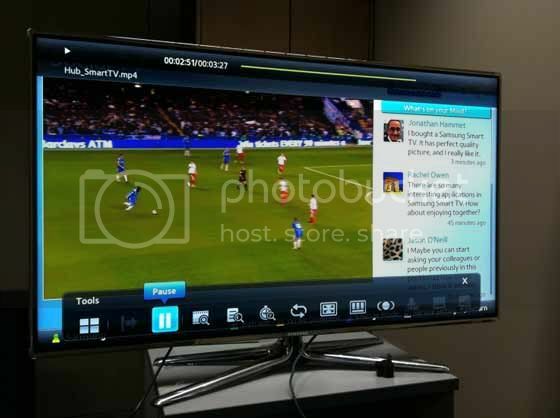 Aside from the clear crisp images you get from it's massive LED screen you can also connect with family and friends while watching all your favorite shows. You see it's the best way to keep bonded with your Dad while still being addicted to all your social networks. And if by any chance your Dad's abroad like mine you can simply install the Skype app and video chat straight from the TV! It's the best way to bond wether your Dad's near or far from you. 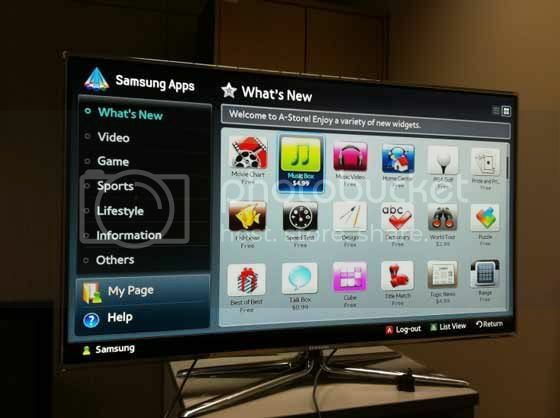 The Samsung Smart TV is definitely a must have for any Family that loves to bond in front of the TV. How about you? What will your Dad love about Samsung's Smart TV? I wonder how much this is in PHP?